Before the 1970’s this rugged and mountainous playground was considered a core part of Abruzzo. 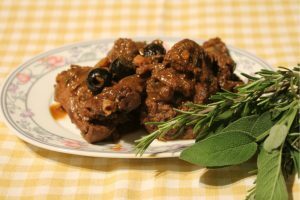 Since then its cultural standpoint leans more toward southern traditions and this is definitely apparent when traversing its winding roads down towards the Adriatic. 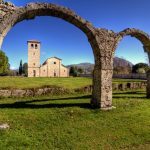 Over 40% of the region is dominated by the Apennines and recently thrillseekers have descended upon the region to exploit the tratturi, or sheep trails, for mountain-biking and hiking galore. The definition of hearty. 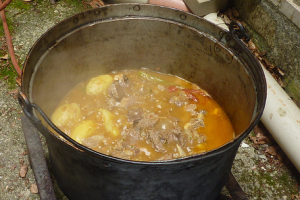 This mutton stew is packed with tomatoes, onions, and hot peppers. Perfection on one of those windy molisana days. Rabbit is a staple out here. This dish is seasoned with fresh herbs and dowsed in a bottle of wine before roasting. 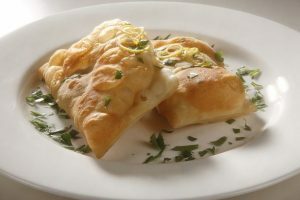 The original Pizza Pocket, filled with prosciutto, provolone, and ricotta. Crisp golden brown outside paired with a soft and gooey inside. Campobasso is Molise’s bustling capital. Take a stroll through Museo Sannitico, gawk at the churches of San Bartolomeo and San Giorgio, and indulge on some local delicacies within the city centre. 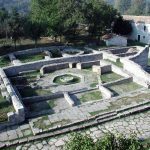 Seek out the Roman roots of the region and make your way to the villages of Saepinum and Ururi. 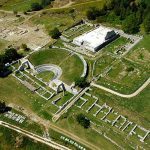 Here you will find remnants of ancient roman villages, towns, bathhouses, and temples. The annual chariot race in Ururi is also a definite site to see if you are in town. Head for the hills and release your inner thrill seeker. Take in the incredible views from rest points and villages found along hiking trails, zoom down the winding goat trails by way of mountain bike, or even take up some horseback riding to explore this wild side of Italy.